Panzerfäuste is a historo-fantasy miniatures game from a new studio Hysterical Games, the average fantasy races are taken away from there usual comfort zone of the classic medieval sword and sorcery setting and put into another, historically inspired, time period – here the period of mechanised warfare in the 20th century. The theory behind the game is that no one has ever really took the development of fantasy races past the beginning of the gunpowder muzzle loading blunderbuss age. I mean dwarves are seriously clever creatures (I’d vote for one for prime minister if they were around) its inconceivable that they stopped inventing things after the blunderbuss, so now we have machine guns and hopefully much more to come. Dwarven Challenger tank anyone, a Deathless Apache? 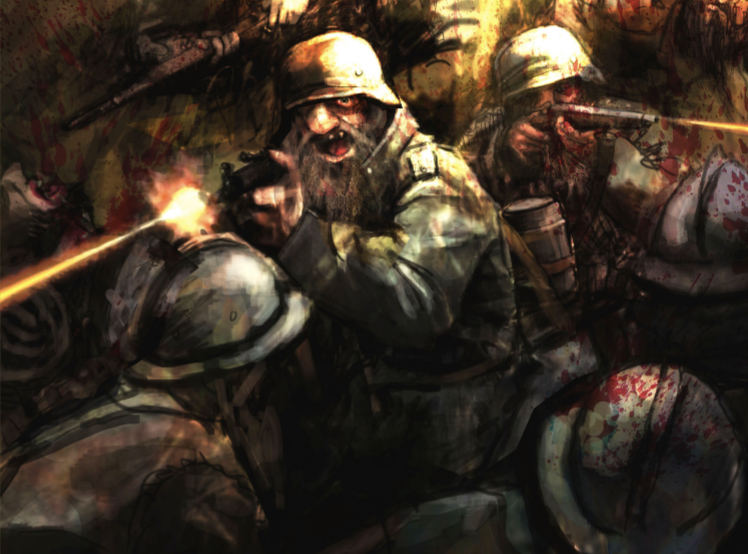 In Panzerfäuste the Dwarves have long stopped hitting Orcs with axes and over the centuries have shot them with black powder muskets, mown them down with gatling guns and now try and blow them up with hand grenades and howitzers, no news yet on portable tactical nuclear bullets yet though. 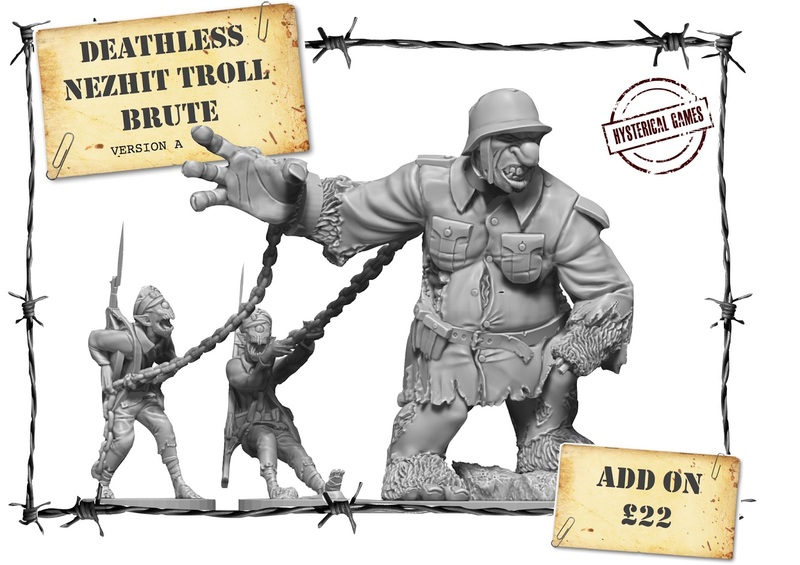 To whet your appetite a little bit more for Panzerfäuste you can get the Beta rules from Wargame Vault. You can download the Panzerfäuste Skirmish Beta rules to try for free here. You can download the Panzerfäuste Mass Battle Beta rules to try for free here.